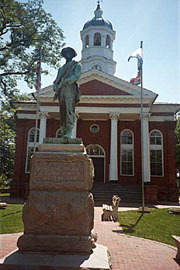 Leesburg, an eighteenth-century town in northern Virginia and the seat of Loudoun County, grew up around its town square and court facilities after all three were authorized by the House of Burgesses. By 1996 when this project started, the three separate historic buildings and a fourth converted office building had long-since become inadequate to continue housing court operations. 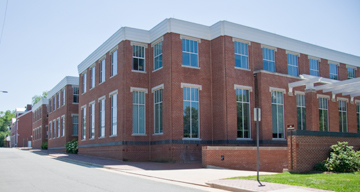 The pre-design project included court planning and programming, site and master planning, urban planning, and historic preservation considerations which demonstrated the feasibility of locating adequate court facilities on-site by means of new construction and adaptive reuse. SERVICES: Against a time frame matching a doubling of anticipated county population, interviewed various key department officials, programmed departmental needs, assessed the utility of the existing facilities, observed court operations and discussed needs with all judges, and participated in developing criteria and a two-stage design approach for a new on-site courthouse and the reuse of existing facilities that would be compatible with the historic neighborhood, the historic district, and the anticipated rapid growth of needs. RESPONSIBILITIES: I served as a consultant to the prime contractor in all aspects of the project, contributing in each technical phase. UPDATE: The project has completed its design phase is in operation, bringing life to our planning recommendations.